People love the ability to choose what they do. Whether it be little decisions like deciding to have a salad instead of a sandwich for lunch, or larger-scale decisions like settling on a summer vacation destination, humans want to change up their lives, as well as have some aspect of control over them. 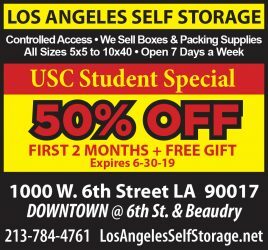 That being said, USC is known to students around the world as an institution that offers a variety of academic paths. From dense STEM fields to concentrations in the creative arts, there are numerous ways students can expand and explore their interests. 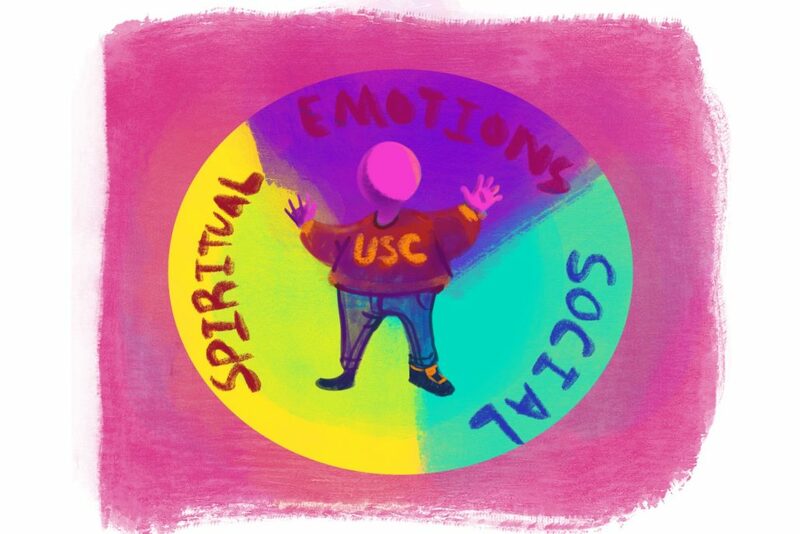 Many students insist that general education requirements are unnecessary at USC and at other schools, and say they instead want to hone in on a singular field of study. But students must recognize that getting a holistic education isn’t a burden — it’s a privilege. At some schools in parts of rural America, enrollment and budget concerns are causing universities to cut liberal arts programs. According to a proposal constructed by University of Wisconsin-Stevens Point Chancellor Bernie Patterson, the school is cutting back on majors such as history, French and German as part of a change in agenda toward career-oriented programs. Patterson suggested the plan last November, asserting that removing majors of low interest and increasing an emphasis on majors that feed into careers will be integral to the university’s success moving on. Furthermore, he emphasized that the plan would help boost enrollment and interest, thereby increasing revenue. While USC doesn’t face the same budgetary concerns as UWSP, cuts like these raise the question of whether or not a holistic education is a vital component of one’s college education. It’s a common myth that liberal arts programs supply students with useless skills, rendering them unemployable. However, according to a 2017 study by David J. Deming, an associate professor of education and economics at Harvard University, skills fostered by liberal arts such as writing, synthesis and problem solving are actually sought after by employers. In fact, these jobs have seen the largest growth in employment and salary in the last three decades. In essence, universities like UWSP are turning toward the polytechnic model and transitioning into a style of education similar to that of trade schools. Students that enroll in polytechnic institutions lean toward vocational and technical studies, pursuing majors such as business analytics or engineering. This allows graduates to obtain degrees that will not only put them directly on a path to the workforce but also help them obtain the degree they need more quickly. Even though the argument that quickly obtaining a degree and job is valid, a holistic education allows students to discover other interests beyond their career paths. Students are expected to grow and develop their passions, which can be accomplished by taking general education classes alongside major requirements. By immersing themselves in different fields, students don’t have to decide their ultimate goals in life right away. Students are expected to change their minds to fit their best interests. According to a U.S. Department of Education study, about one-third of undergraduate students will change their major at least once within the first three years of their enrollment. If students could only take classes from highly specialized schools, they wouldn’t be able to experiment with their education or pursue diverse fields of study. Furthermore, limiting the number of major program options for students sets universities on a path of conformity and rigidity. Schools like UWSP are losing touch with history and the past. The polytechnic route does create a steady path toward a career, but institutions, like USC, that offer a wide variety of majors are fostering a new generation of well-rounded and knowledgeable graduates. Having the ability to choose one’s major is an essential part of one’s academic experience. If one is looking for a job within a small selection of majors, a polytechnic school might be the best route. USC students should appreciate the opportunities general education requirements and liberal arts programs provide, because they engender growth and self-improvement beyond anything a typical trade school could do.